» Playing with Books. Where Shall We Go? Ask the Map! Children aged 4 – 8 are welcome, with their parents, to attend the workshop Playing with Books. This will be the third session in the literature-meets-art series, this time involving a close encounter with maps: Where Shall We Go? Ask the Map! 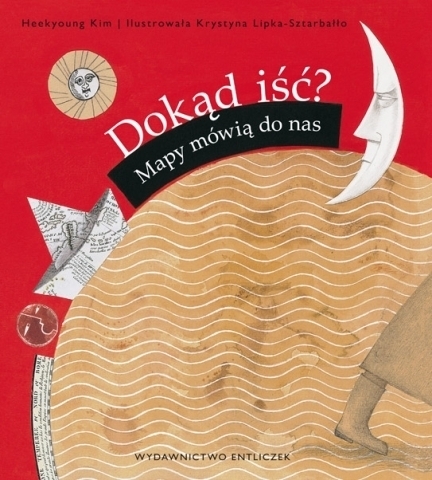 The Korean author Heekyoung Kim and the Polish illustrator Krystyna Lipka-Sztarbałło present the history of cartography and introduce children to different kinds of maps. They will include the plan of MOCAK, which will come in handy as a blueprint of a museum map. Together, we shall explore its nooks and crannies. The workshop has been organised in collaboration with the publishers Wydawnictwo Entliczek. While the children are enjoying the activities, the parents are most welcome to visit, free of charge, the exhibitions, as well as browse in MOCAK Bookstore and enjoy the refreshments in MOCAK Café.